| WaykiChain Project Rating Overview Project Name：WaykiChain Gyro Rating：B Risk：Medium Founding Date：January 2018 Registration Address：Hong Kong Founder: WaykiChain Foundation | Project Introduction and Positioning Project basic information and introduction By fully integrating the features and advantages of blockchain’s decentralization, irreversibility and fairness, WaykiChain aims to build the blockchain 3.0 commercial public chain, provide enterprise-level blockchain infrastructure and industry solutions, and create a new business model in the new era. Taking betting industry as an entry point to amass users, WaykiChain will gradually develop business like assets trading and foreign exchange trading, and ultimately become “Big Platform” and “Big Ecosystem”. Official Information http://waykichain.com/ The project information is rather complete, and the latest news is updated in all social channels. Project Vision Become an efficient and stable public chain, gain a large number of users, and develop a variety of applications, mutually promote the formation of a self-sufficient ecosystem, and ultimately achieve the goal of a large platform. Project Necessity The WaykiChain is essentially a public chain created for the fields of quiz, financial services, etc. The team has a deep understanding of the pain points of the quiz industry and the demand of financial services between the digital currency and the fiat currency market. But due to the policy, they will face greater competitive pressures. | Market Analysis Data Sources：Ok Blockchain Capital | JingData | 智研咨询 Online Quiz Market The global quiz market is growing steadily year by year and is expected to reach $60 billion by 2020. The global traditional online quiz market is mainly concentrated in Europe, Southeast Asia and other areas with licenses. Currently there are Bet365, Betfair, William Hill and other global brands with global influence. Although the online quiz/betting market is growing rapidly, there is still a long way to go compared with the offline betting market. According to 智研咨询, the global gaming industry's total revenue has reached US$450 billion in 2016, with Asia's revenue ranking the first in the world at $139.5 billion, the gaming market in North America and Europe also outweighed $100 billion. In contrast, the solution of blockchain technology and online betting quiz has a huge market space in the future. Generally speaking, due to the influence of more or less gambling policies in most countries around the world, the market for quiz gaming industry is also limited, but it also reflects the huge potential of the market, especially online quiz gaming using blockchain technology to solve opaque capital operation, opaque game rules, high rakes, platform fraud and difficulties in cash withdrawal, it is foreseeable that the ceiling of the gaming market will continue to rise in the future , and the market size will be more bigger with transparent rules and legal supervision. Analysis of the current situation of online quiz gaming: The main problems for the online betting industry are mainly the information confidentiality, fund management security and platform fairness of each platform. Conclusion The Waykichain defines itself as a vertical public chain in the field of financial services related to quiz and other fields, and finds the combination point of the two contested areas with the highest degree of fit. The positioning has high rationality and forms a business closed loop in the ecological layout, it has built a system of transparent quiz, capital security and funds barrier-free circulation. Among the blockchain projects of the current global betting quiz category, the Waykichain basically lays the position of the top projects. Advantages: Fair and transparent quiz brought by the credibility of blockchain decentralization Blockchain smart contracts make every user or organization could be a quiz initiator The platform trust foundation brought by the blockchain public trust background The rapid flow of borderless funds brought about by the digital currency economy From the perspective of market capacity and demand, the blockchain and quiz are currently in a steadily rising stage. With the opening of the policy of betting contests in various countries, the market space will become larger and larger, and the future development trend is stronger. The development of Waykichain was based on commercial applications, combined with security betting quiz, foreign exchange settlement and other demand points, which can clearly solve the problems that cannot be avoided in the traditional field, and can quickly expand to the more users, making the non coin investors can also use the Waykichain products in a straightforward manner. At the same time, the development of the Waykichain can be accompanied by various difficulties and risks, such as the following: Risk of policy restrictions Technical restrictions on the public chain The singularity of the betting game limits the growth of the user community. Other homogenization competition for forecasting market projects | Team and Adviser Analysis The authenticity of the project team and consultants has been verified. Team Wayki Sun，Founder&CSO One of the earliest digital currency investors and entrepreneurs in China, named as "Godfather" in the industry, and nicknamed as "Fencing Master" online. The founder of Xinhuo Network, the founder of Ou Lu Zhong Chou and the Managing Director of Jufeng Digital Asset Management Co., Ltd. Sun led an investment team of hundreds of people with great achievements made in stock, foreign exchange, futures and digital currency markets. With over 10 years entrepreneurial experience in the financial industry and the Internet high-tech industry, Sun enjoys high reputation in both the traditional financial industry and the emerging digital currency market, and with plentiful industrial resources, maintains good cooperation with the industrial biggest digital currency exchange. Hang Gao，CEO Hang Gao, an alumni of Columbia University in New York, ex-Lead Data Scientist of Fishbowl in Wall Street, ex-Senior Data Analyst of Alibaba Group, senior member of Mensa International Club, currently serves as WaykiChains CEO. He is responsible for offering support to WaykiChains commercial model designing and strategy planning, building up a digitalized monitor system for products and operation and promoting WaykiChain overseas with his international background. Tony Chau，Co-founder & CBO Bachelors Degree in Finance from the University of Toronto in Canada and served in Hongshang Asset Management Co., Ltd. Focused on industrial surveys and commercial analysis, with in-depth research and distinctive perception on business operation models, and professional financial knowledge and complete project experience. Xi Zhang，CPO Tsinghua MBA, former Senior Product Manager of Tencent. As an expert in products and operations, Xi Zhang has been engaged in Internet industry for 14 years with several entrepreneurial experiences. In 2016, as a partner, he joined the Haiqiu Technology founded by famous football player Sun Jihai, responsible for the Miaohai business unit. He was fully responsible for the products, technology, operations, and marketing of Miaohai sports short video APP. Richard Chen，CTO Master of Computer Science from the National University of Singapore and Bachelor of Communication Engineering from Shanghai Jiao Tong University. Richard worked for Alibaba and was responsible for the internal and external information security system construction of the entire groups Customer Service Department. Prior to this, Richard also served as Senior Vice President for the worlds top investment bank Morgan Stanley for 3 years and Intel Chief Architect for 8 years. Xiaowei Wang，Creative Director Xiaowei Wang, with 9-year brand planning background, and rich experience of 4A advertising company and multiple local advertising companies, has provided brand strategy, brand image recognition, brand promotion, product packaging design strategy and visual service for a number of large enterprises and listed companies. With rich experience in brand management and keen insight to the trend of commodity, consumer and market competition, he is skilled to combine brand value innovation system with brand & market demand to enhance brand value. Saijun Wang，Operation Manager Bachlor and Master of Huazhong University of Science and Technology. Once worked as operation manager of Huarui Wind Power Technology Co. Ltd’s American branch and represented Huarui to attend the 2010 Dallas International Power Exhibition. On June, 2011, he was awarded the title “senior expert ” by the Wuhan municipal government. Good at internal management and creating harmonious environment and space for the company. Yuanhang Xiao，Tech.&Dvpt. Manager Professional blockchain technology officer, once worked at one of the top 500 corporation: Ricoh Imaging Technology (Shanghai) Co. LTD. In charge of blockchain technology app development and once provided API development and market data analysis services for many digital currency exchanges. Experienced in digital currency developing and professional in different coding languages including JAVA、C# and Linux. Conclusion After more than a year of development, the Waykichain team has grown to a healthy level. According to themselves, currently almost all core members are Chinese, with a total of 71 Waykichain members, and 23 of them are technical R&D teams. The technical team accounted for 32.4% of the total, but the technical staff have a deep understanding in the blockchain and Internet fields. Advisory Team Huang Tianwei Founder of Bit Times, formerly served as Tencent Product Manager and Project Manager, Vice President of Fantasy Basketball Manager, Chief Strategy Officer of Financial Box; Participated in Investment Point Technology, Yixiang Network, Maoming Rural Commercial Bank, Sheet Metal Technology, Jinse Finance, etc. with a very high reputation in the industry. Liao Wei Sun Yat-Sen University's master of computer engineering, known as one of the founders of China's Ethereum's Intelligent Square, one of the earliest blockchain technology teams in China. Senior developer of blockchain technology. Ma Long Master of Wuhan University, Asia DACA Blockchain Research Association and Tsinghua University iCenter special lecturer, elected as the top ten blockchain opinion leaders in the 2015-2016. Huang Lianjin Well-known blockchain expert, member of the American ACM Practitioner Board, member of the China Electronics Society blockchain expert, MBA. He once served as vice president of technology and chief blockchain scientist in China's largest non-listed communication technology company. He once served as CGI Group of Canada (mainly IT consulting), served as technical director and head of cloud security technology. Legal Adviser Yingke Law Firm Beijing Yingke Law Firm, referred to as Yingke Law Firm, is a global legal service organization headquartered in Beijing, China, with 42 offices in mainland China, the United States, Britain, Germany, Switzerland, France, South Korea, Russia, etc. 42 Each of the 89 cities and regions in each country has a member firm of the Pacific Century Global Legal Alliance. Honors and qualifications: the governing unit of the China Policy Science Research Association, the State Council's State-owned Assets Supervision and Administration Commission, the legal affairs cooperation unit, the ALB2015 Asia's largest law firm, the ALB2015 China's fastest growing 10 law firm. Conclusion The Waykichain advisory team has not changed this year. In the information disclosed so far, the advisory group has helped the Waykichain clear the direction of the project and avoid a lot of risks on many levels. The consultant's strength is strong, and it can bring more support to the Waykichain in terms of products, technology and laws. | Investor and Partnership Analysis The project partner's information comes from public information. Conclusion According to the public information, the Waykichain partners, in addition to Yingke Law Firm, are most exchanges, media and blockchain projects, except that the law firm can give certain legality help with internal support, other partners can give more support for traffic and branding. At the same time, we also see the official website of Waykichain that at present it has been listed on 73 large and medium-sized exchanges. The transaction coverage is wide, and the transaction volume is also the top level of all tradable items in the industry. The Waykichain mainnet has been online for 206 days, and there are currently 22 supporting the mapping, so the ratio is slightly smaller. From the mainnet of the Waykichain and the Ethereum mainnet, most of the current token is stored in the Waykichain wallet and Huobi. After communication with the project team, the current Waykichain official wallet has been completely mapped to the mainnet, and the WICC TOKEN on the Huobi is being gradually mapped, and the mapping progress has been completed more than 80%. In summary, the Waykichain, as a public chain in the field of quiz and finance, lacks the strong technical support in external cooperation, and lacks the accumulation of resources in the financial field. | Community Analysis The not deduplicated data of statistics on the current community: Waykichain Telegram Groups： https://t.me/waykichainchinese2 https://t.me/waykichainfanscn https://t.me/waykichain4 https://t.me/waykichainchinese https://t.me/wiccbet https://t.me/wiccfifa https://t.me/waykichain3 https://t.me/wiccapp https://t.me/waykichain5 https://t.me/wiccofficial https://t.me/waykichain https://t.me/waykichainfans Screenshot of Waykichain Telegram Screenshot of Waykichain Telegram and QQ Group Screenshot of Waykichain Twitter Screenshot of Waykichain Weibo Conclusion According to statistics, the total number of community fans of Waykichain is about 250,000+ (not deduplicated). In terms of quantity, the number of fans in the Waykichain project community is at the global leading level. From the perspective of community management, the Waykichain community has a fixed administrator maintenance, and is affected by the current market environment, the fans are at a moderate level of activity. Regarding the atmosphere of the community of the project, from the number of fans speaking in the week and the relevance, the community operation of the Waykichain has a certain order, and the community discussion are more relevant, but The sentiment of domestic community fans is relatively low, while the fans of foreign communities show the opposite situation. Through the Ethersan.io, we can see that the ERC20 TOKEN of the Waykichain has all been destroyed, and the destruction rate has reached 80%. The destruction address is as follows: https://etherscan.io/token/0x4f878c0852722b0976a955d68b376e4cd4ae99e5#balances Analysis of the currency holding situation of the mainnet of the Waykichain Through the Waykichain mainnet browser, we can see the status of the Token address of the Waykichain as of December 12 as follows: https://www.waykiscan.com/ From the mainnet browser of Waykichain, there are a total of 119,846 holding addresses, with a block height of 1,556,755. We have randomly sampling about 1,500 addresses, and the number of empty blocks (excluding transactions) is about 96%. The total number of holding addresses of the top 100 is 180109579.3, accounting for 85.6%. The total number of holding addresses in the top 10 is 167748784.8, accounting for 79.88%. Since the disclosure of various information on the mainnet is not complete, it is more difficult to be more detailed. Statistical analysis combined with the circulation rate and turnover rate displayed by external data platforms such as Coinmarketcap, it can be judged that the current Waykichain control rate is still at a relatively high level, and the frequency of users trading on the exchange is relatively high. | Token Economic Model Analysis Project Token Information As the basic token of Waykichain, WICC is also the token consumed by the Waykichain. It acts as the anchor currency for transactions between users, quiz chips and system rewards and punishments. It can be used on the public chain for payment and transfer, such as purchasing virtual goods or services provided by the application, or for exchange between tokens, fiat currency, asset trading platform, SaaS management background service, and get rewards. There are a total of 210 million WICC are produced and distributed, which are only used as tokens for use and circulation in the Waykichain application wallet. The WICC itself does not have any legal currency characteristics. WICC can be acquired by mining, voting, subscription, or buying from other holders transactions. WICC can be traded in fiat currency on exchanges, or traded with other digital currencies, so that it has transaction value, but this does not mean that WICC itself has legal currency attributes or value. Distribution Waykichain TOKEN distribution plan: 60% public sale 15% development team, early investors, operations team 15% strategic deployment 10% private equity investors In the white paper, the project team has a detailed description of each allocation plan. As can be seen from the distribution plan, the distribution plan of the Waykichain is mainly focused on one key point - fundraising. Up to 70% of TOKEN is used for fundraising purposes. This distribution method makes the Waykichain raise a lot of money and huge liquidity, helping the Waykichain team to improve their survival rate in the long-term bear market. Price As can be found from the public information, the early public sale price of the Waykichain is about $0.29. Combined with the total number of WICC TOKEN and the time of public sale (end of December 17): At that time, all cryptocurrencies were in a bubble inflation period, and the price of Bitcoin was at an all-time high. At that time, the valuation of the WICC was not too high, and it was a long time after listing. There is still a good upward trend, giving investors a lot of investment returns. Token Circulation The use of the WICC TOKEN: Circulation of basic TOKEN financial attributes TOKEN as a mortgage to generate stable coin chips to participate in the quiz game Buy quiz and sports related information and specific services (such as tickets for sports competitions) Online and offline O2O chips / funds circulation Obtain the right to participate in the voting and lockout plan of the participating nodes For the operation and usage scenarios of TOKEN, the Waykichain is more cautious. In order to avoid policy and legal risks, there is no direct use of the Waykichain TOKEN as a quiz chip, but a mortgage mechanism similar to BTS, based on the Waykichain—a stable currency is issued as a special chip currency for gambling. As a smart contract, the users can participate more directly in the game at a low cost without understanding what is the blockchain. Among them, O2O operates in a relatively new way, and the demand is also large. In the future, the Waykichain will have a clearer value growth when it is vigorously exploring the offline gaming market. Token value logic analysis TOKEN of the Waykichain has not yet formed a large-scale landing application, and the official team of Waykichain is also rapidly advancing the deployment of quiz applications and smart contracts. The Waykichain released the “lock-in revenue sharing plan” in the early stage that led some developers and investors to lock the token, which enabled investors to enjoy the revenue share brought by the developer application and realize the third-party hematopoietic dividend. The plan reduced the circulation of the Waykichain in a short period of time and increased the market price of the Waykichain. However, in the long run, it was not able to withstand the impact of the market downturn and caused adverse effects in a small number of community members. The use of the Waykichain is clear, and the demand will increase sharply with the rich application of quiz and the realization of foreign exchange financial functions. Since the total number of TOKEN is small, there is a lot of space for growth compared to the overall market demand. Token Distribution From the white paper we can see that the TOKEN allocation is like this: 60% public sale 10% private equity investors 15% development team, early investors, operations team It can be seen that up to 70% of TOKEN is used for fundraising purposes. This distribution makes the Waykichain raise a lot of money and huge liquidity, but because a large number of TOKEN are circulated through fundraising, resulting in its incentives are relatively simple at present. From the perspective of results, the Waykichain’s fundraising was successful, but from the perspective of long-term development, a single community incentive model is difficult to promote community development in the long run. . | Business Model & Technology Highlights Waykichain mainnet：https://www.waykiscan.com Waykichain testnet ：https://testnet.waykiscan.com Waykichain Github ： https://github.com/WaykiChain/WaykiChain Waykichain Server wallet core library open source ： https://github.com/WaykiChain/wicc-wallet-utils Waykichain wallet open source ： https://github.com/WaykiChain/DAPP Waykichain node containerized open source： https://github.com/WaykiChain/docker-waykicoind Project Technology Introduction Waykichain technology features: Achieve 1000+TPS on mainnet and 100+ TPS transaction speed for smart contract DPOS consensus mechanism Use Lua language and basic class library to achieve Turing's complete computing scenario requirements, and programming technology for quiz smart module modular Classification node technical architecture Waykichain Technology Architecture: The first layer: the lowest level of the Waykichain public chain, the Waykichain will work with the developer community and partners in the entire ecosystem to promote the continuous development of the Waykichain 's underlying public chain technology; The second layer: the middle layer, the Waykichain will work with the developer community in the ecosystem to promote some developer tools and service platforms for the underlying public chain development to help more developers join the community, and be more convenient to use the Waykichain to build various upper application; The third layer: the top application layer, at this level, the Waykichain project team no longer dominates the upper application development, but through the support of the underlying technology and services, let the developers within the ecology or commercial developers to development and construction. Conclusion The technical structure of the Waykichain is clear and logical. From the theoretical point of view, we think that it is slightly different in theory from other public chain, but from the implementation point of view, the technology of Waykichain is relatively stable, and the improvements made by the Waykichain and the specific business on the public chain are also in line with business logic. Business model The project provides a Turing-complete public-chain platform that is perpendicular to the field of quiz, attracting developers to join the Waykichain development of quiz Dapp, through simple and modular smart contract programming techniques, while stimulating development through lock-in planning and voting, while investors form an internal incentive loop to increase Token usage and use value. Combined with the characteristics of the capital conversion of the quiz industry, the promotion of financial services and the expansion of overseas markets will increase the demand and circulation rate of the WICC Token, and increase its value. The Waykichain earns through the underlying technical services with the purpose of profit. Conclusion The Waykichain is a public chain for commercial applications. Combining security betting quiz, foreign exchange settlement and other demand points, it can clearly solve the problems that cannot be avoided in the traditional field. From the Waykichain project's external conversations and live broadcasts, the ambition of the Waykichain is very large. The Waykichain mainly wants to cover the crowds that are not a small number of non-gaming enthusiasts in the current industry, but hope to do with meeting the needs of users outside the industry, the non-coin investors can also use the products of the Waykichain in a simple and clear way to create a global blockchain gambling ecology that is truly applied. Blockchain application development and technical services based on commercial needs and market demand, with the development of global blockchain technology, will have more grounded use scenarios and broader market space. | Roadmap and Progress Disclosure Planning and milestones Project Roadmap Description and Analysis According to the latest weekly update from the Waykichain (12.10-12.16) and various public information on official channels: The Waykichain has been technically advanced since the mainnet has been online in May, but the Token mapping of the mainnet has progressed slowly. The project team has launched two DAPPs based on the Waykichain mainnet, one for information-based DAPP <维基时代> and one for quiz-type DAPP <维基竞猜> Analysis: <维基时代> The latest version includes information section (summary, newsletter) and community section (recommendation, square, encyclopedia), covering media elements including articles, videos and essays, etc. The overall style is simple, full-featured, and content is mostly based on ecologically relevant information of Waykichain, and the user experience is rather well, but the content output is monotonous and not attractive enough. <维基竞猜> is the only officially open quiz product currently developed by Waykichain. The quiz App contains football and basketball sports, the gameplay is relatively simple, the coverage area needs to be expanded, and the WICC token has not yet demonstrated the performance of the financial blockchain. In terms of activities and community building, Waykichain previously released the T2D2 program to recruit developers, and participated in a large number of blockchain developer activities, promoting the concept of the Waykichain, and they recently held various online activities such as the official mascot naming and first anniversary activities, work with media and communities at home and abroad to promote the Waykichain brand. Analysis: The main development of the Waykichain is focused on the developer’s recruitment, community building, brand marketing and product module development. In the case of the gradual improvement of the public chain, the recruitment of developers is gradually unfolding, and the feedback from the Waykichain is just okay. In terms of brand and community building, the influence of the Waykichain has reached the top position of the quiz public chain, and the community construction is relatively smooth, but due to market fluctuations, the mood among community members is also relatively low. | Whitepaper Analysis Waykichain white paper: http://www.waykichain.com/Whitepaper.pdf The screenshots of the whitepaper: Advantage: The whitepaper focuses on the design ideas, application prospects, and implementation scenarios of the Waykichain. The ideas are relatively clear, and the team have a high awareness of the industry. Disadvantages: As a public chain, there is a lack of specific design and algorithm design logic for core public chain technology. At the same time, the second part of the technical solution tells the story is not deep and specific enough. Twitter: https://twitter.com/tuoluocaijing Website: https://www.tuoluocaijing.cn Rating standard AAA>AA>A Excellent project with high value, Highly recommended BBB>BB>B Quality project with upper middle value, Normally recommended CCC>CC>C General project which have certain potential DDD>DD>D Low quality project with not much value, Not recommended E Fraud or scam project with no value, Strongly not recommended Disclaimer All data and information referenced in the articles is from compliant and legitimate sources that we deem as reliable, the information contained in the articles published on cryptocurrencyrating.io does not in any way constitute financial or investor advice and is only intended for informative purposes. Readers may not rely on such information to decide on investment or financing options or otherwise rely on such information in making decisions with monetary or financial effects. Gyro Research does not accept any liability of any kind with regards to the validity of the information or with regards to any damage suffered as a result of reliance on such information. Project : GOeureka Risk Classification: Notable Rank: BB Market analysis:BBB Team: B Feasibility: BBB Website: https://goeureka.io Hotels now rely heavily on OTAs for online sales, which struggle to offer breadth of choice and do not have the same amount of resources to compete on a level playing field with the OTA. They are beholden to working with third-party booking engines often under unfavorable terms. OTAs in different major economies form oligopolies to control the online booking sector, allowing them to charge the same good or service differently for different consumers. This kind of price discrimination allows the seller to obtain the highest revenue possible. By price discrimination, regional monopolies ( OTAs) captures consumer surplus, which do harm to the consumer'interests. Applinig blockchain technology can not only effectively avoid this problem but also make a unprecedented change of the industry. They could provide an affordable and efficient platform for hotels and consumers to directly engage and transact with each other, removing the inequitable commissions to OTAs that ultimately decrease hotels’ margins and increase consumer prices. In general, Goeureka deserves to be taken notice. 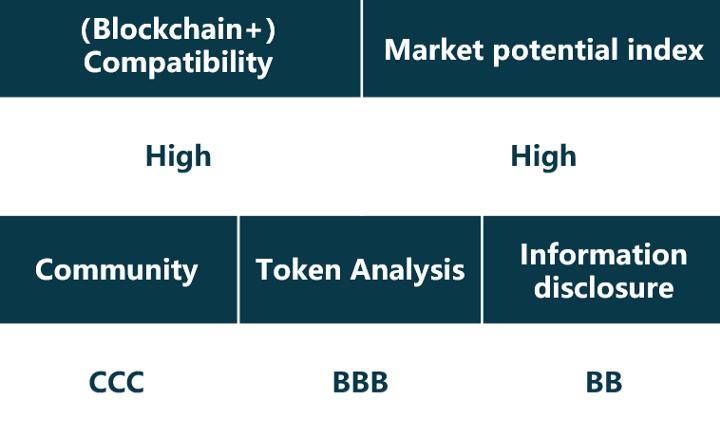 Project : Freldo Risk Classification: Alert Rank: C Market analysis:C Team: CC Feasibility: BBB Website: https://freldo.com/ They want to create a free public place, where small businesses and their customers – who are close friends and acquaintances – could communicate. They set up a website to try, establishing direct communication between the seller and the buyer, excluding any interference or influence of intermediaries. By their demonstration of the whitepaper, Freldo’s business model is a kind of circle-commence which has well-developed in china called Wechat business. This business model itself is obviously feasible in some extent, but more importantly, it’s the problem of cultivating user spending habits in this way , proposing regulations and supervision. Twitter: https://twitter.com/tuoluocaijing Website: https://www.tuoluocaijing.cn Rating standard AAA>AA>A Excellent project with high value, Highly recommended BBB>BB>B Quality project with upper middle value, Normally recommended CCC>CC>C General project which have certain potential DDD>DD>D Low quality project with not much value, Not recommended E Fraud or scam project with no value, Strongly not recommended Risk classification Trust Investors can participate in the project. Notable With certain risks, Investors should be carefully when investing, with a small amount of money. Alert With more unclear information, higher risk, not recommend to invest, or do not invest. Warning The project is suspected of fraud, do not invest. Project : CryptoIndex Website：https://cryptoindex.io Risk Classification : Alert Rank : CC Market analysis : C Team : BB Feasibility : D The blockchain infrastructure of the project's data financial services, including analytics services, is currently a phenomenon of homogenization in the market. With fierce competition, market space is limited. The project has no outstanding features and is not worth investing. Even if they claim CryptoIndex is a platform powered by AI, the practical value is still unpredictable. As for allocation of tokens, they intend to sell 90% of tokens, and the team only retains 3%, but the token economy described in the white paper is not enough to support it to form a virtuous circle and ultimately return investors. Project : W12 Website：https://tokensale.w12.io/ Risk Classification : Warning Rank : DD Market analysis : D Team : CC Feasibility : D By maintaining escrow platform based on smart contracts，which allow to freeze collected funds until projects reach certain milestones, the project does not need to develop a smart contract and a personal account independently . But a centralized company to do the lock-in behavior is of poor feasibility, and the vision could be hard to achieve. It has been stated in the white paper that up to 81% of projects are scams (although we think this number should be over 98%), so most projects will not participate in W12. There are fundamental conflicts of interest in the marketing of the project. However, they plan to make a profit by paying commissions from platform users, which expects a large amount of users on the platform.As for team, they don’t have enough members who already have blockchain work experience to support the project because the wish they carried out is a really high technical demand mission. Project : MyCryptoBank Website：https://mycryptobank.io Risk Classification : Alert Rank : CCC Market analysis : D Team : CCC Feasibility : BB MyCryptoBank offers its clients a multifunctional platform of banking service, which represents a hybrid system combining digital and traditional currencies. With high feasibility, the key is the establishment of barriers. The project has a certain market size and considerable practical value. It is a possible scenario which combines traditional banking and blockchain. Twitter: https://twitter.com/tuoluocaijing Website: https://www.tuoluocaijing.cn Rating standard AAA>AA>A Excellent project with high value, Highly recommended BBB>BB>B Quality project with upper middle value, Normally recommended CCC>CC>C General project which have certain potential DDD>DD>D Low quality project with not much value, Not recommended E Fraud or scam project with no value, Strongly not recommended Risk classification Trust Investors can participate in the project. Notable With certain risks, Investors should be carefully when investing, with a small amount of money. Alert With more unclear information, higher risk, not recommend to invest, or do not invest. Warning The project is suspected of fraud, do not invest. Stellar is a platform that connects banks, payments systems, and people. Integrate to move money quickly, reliably, and at almost no cost. The stellar payment network uses XLM as the base currency. Users can transfer any currency through it. It is a platform for connecting banks, payment systems and personnel, including US dollars, Euros, Chinese yuan, Japanese Yen or Bitcoin. It is simple and fast. The transaction confirmation is completed within a few seconds. The Stellar project has a number of fans all around the world. The community is moderately active, and there are many discussions related to the development and cooperation of the Stellar project. The officials not only publishes announcements and activities related information through social channels, but also uses to disclose and warm up some small progress in some projects. However, there have been no major project progress disclosures recently. Stellar has its own block browser, but it does not open the currency address statistics function. Therefore, we are unable to know the distribution of XLM tokens. According to the transaction information we collected, trading frequency of XLM tokens is very low lately. According to the Coinmarketcap data on October 25, the current price of XLM token is $0.2356 . XLM did not conduct Initial Coin Offering. On October 23, XLM ranks 6th in the global cryptocurrency market value, and it has been listed on 20 crypto exchanges. The transaction depth is mainly concentrated in the BCEX and Binance exchanges. From the performance of the most recent month, the price trend of XLM is in a sideways volatility, but there has been a slight increase in recent days. At present, the circulation rate of XLM is 18.1%, which is not a large proportion. The turnover rate on that day is 1.27%. The trading volume performed poorly and the price performance was acceptable. The price trend of XLM is relatively synchronized with the total market value of cryptocurrency. From Stellar’s Github project update, the official GitHub home page shows 88 libraries. The main library protocol has 263 Watches, 1824 Stars, 77 Fork, 4289 Commits, 6 Branches, 54 Contributors, and more recently. Project code activity is not very high. The official team from Stellar usually update the latest information about the development and events on the social channels such as Facebook and Twitter. On September 29, the official website Twitter sent a message saying that LOBSTR is now leading the further development of StellarTerm, but did not elaborate further. Stellar (XLM) is a blockchain-based distributed open source network designed for instant payment transfers. By accessing the underlying Stellar network, financial institutions, businesses and individuals around the world can achieve low-cost, secure and real-time capital transfers. Created based on Ripple’s technical code modification, also known as Ripple 2.0, it provides fast and cheap remittance services like Ripple and is more decentralized. In terms of market demand, about 5 trillion US dollars per day flow through the SWIFT information system, and the market prospect is broad. IBM and the South Pacific, Oceania Banking Network have successfully deployed stellar networks. Deloitte built the network, completed in 4 weeks, the cost dropped 40%, completed the transaction within 5 seconds, operating Stellar’s TEMPO payment covering 40 countries, the degree of development and the degree of pain point resolution, the star’s completion is relatively high.